Brazen attack: What will this killer take next? 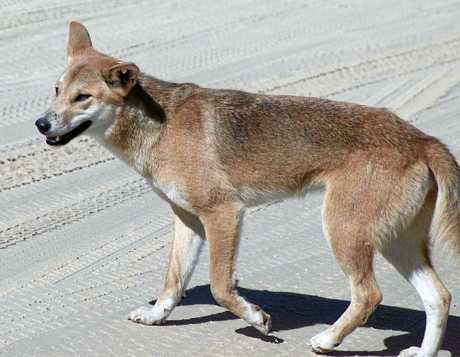 A COUPLE who are distraught after their pet dog was killed by a dingo-like dog at Curra yesterday are worried a child could be next. John (who did not want to be named) was walking his pet blue cattle dog, a loyal friend of 10 years, on their usual morning route on an adjoining Hervey Siding property when the tragedy struck. "My dog was walking happily in front of me before walking off to the side for a sniff around," he told The Gympie Times this morning. John continued to walk ahead, but then all of a sudden he heard yelping. Running back up the trail John couldn't find her but thought she'd run home after hurting herself. Moments later he saw a large yellowy orange wild dog skulk by. "Immediately I knew that's what had attacked her, " he said. Nearby John discovered an area covered in fresh blood encircled with scratch and scuffle marks, but he did not find his dog or any sign of her. At one meter tall, John said if the canine can attack a dog so close to a human he's worried what it could do to a child. He particularly wants to warn families who live at Curra Estate. "This animal's not frightened of human beings," he said. "I was within 30m of my dog when it happened. There is a possibility of it attacking a child. "My dog didn't pick up the scent of him before it was too late." He said he couldn't tell exactly what sort of breed was responsible. 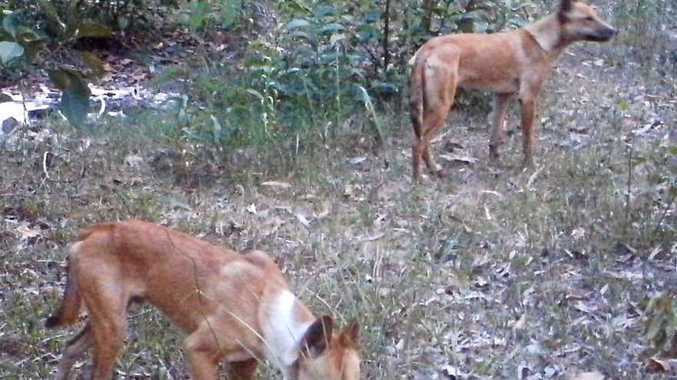 "It's hard to distinguish between a pure dingo any more and a wild dog," he said. "I couldn't say this was a pure dingo but it had a big amount of dingo in it." John said he has lived in the area for 26 years and has never seen the wild dog problem so bad. "The last five years it has gradually gotten worse - in the last 18 months it's become extreme." He said a private dog trapper in the area has trapped 20 dogs in about eight months in a 2km radius of his property. 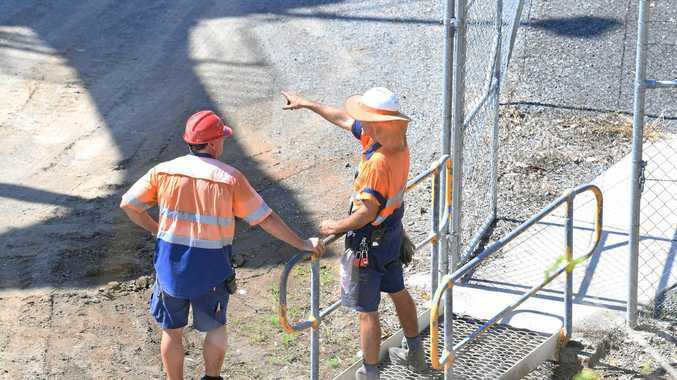 He has reported the case to the Gympie Regional Council, who are in talks with people in the region, but he said more people need to report attacks so they are aware of how big the problem is. Meanwhile John has been searching the area since the attack in the hope he sees some trace of his dog. "I want some sort of closure," he said full of emotion. "I keep looking to see her walk up the paddock."